Devices for retaining surplus staff include re-deployment, short-time working, temporary lay-offs and temporary closure. The obligation to continue paying staff their salary is likely to remain unless there is provision within the employment contract to temporarily reduce working hours. Some organizations have recently negotiated pay cuts – the logic being that staff would rather have reduced pay levels than no job at all. Vauxhall motors offered UK staff eight months sabbatical leave at 30 per cent pay. Honda used a variety of methods to cut staff at their Swindon plant in the UK by half. These included a plant closure for four months which started in February 2009. The first two months were at basic pay and the next two months at 60 per cent pay. This was accompanied by a voluntary redundancy scheme. Other devices for temporarily reducing labour costs include withdrawal of non-contractual hours, reviewing sub-contracting arrangements and encouraging study and parental leave. Organizations used to cyclical fluctuations in the demand for their product or service may have well established procedures giving an understanding about how to handle a temporary fall in demand. However, this may be a much more problematical issue for organizations facing such issues for the first time. Problems can include staff expectations, lack of representative structures and lack of procedures and agreements for handling variations such as temporary closures and-offs, and pay reductions. Employees are generally entitled to be consulted about redundancy on an individual basis – there are though some exceptions with collective redundancies. This should be done as early as is practicable and should be genuine, as opposed to just going through the motions. Such consultation should include possible ways of avoiding the redundancy and also examination of the opportunity for alternative work within the organization. Redundancy consultation is also affected by the European Collective Redundancies Directive. The minimum requirements are that employers planning a redundancy of 20 or more employees at one establishment are required to consult with relevant trade union representatives, or in the absence of a trade union with elected employee representatives, with a view to reaching agreement. Consultation is necessary even if the redundancies are all voluntary. The consultation has to take place "in good time" – at least 30 days before dismissal with redundancies of between 20 and 99 employees, and at least 90 days before dismissal if the redundancies are expected to be 100 or over. Dismissal notices cannot be issued until that consultation process has been completed. In the case of redundancies of 20 or over there is a requirement to inform the Department of Business and Regulatory Reform. Consultation needs to start only after that has occurred. There are financial penalties for breach of the provisions for collective redundancy consultation. A protective award of a normal week’s pay for a maximum period of 90 days can be awarded if an employer is in breach of this requirement. The award can be in respect of every employee where it is held that there has been such a breach. Employers are also affected by the European Directive on Information and Consultation. This requires them to consult with employees about the current and future business economic situation, particularly developments that may affect employment arrangements. This Directive covers all businesses employing 50 or more. Consultation also needs to take place about any contractual changes regarding the pay and work of those who are retained. Selection for redundancy will normally be in accordance with a previously established policy which may also have been agreed with recognized trade unions. If there is no agreement there should at least be consultation with employee representatives about the criteria for redundancy selection. Length of service is likely to be an important factor in deciding who should be retained and who should be dismissed, but other criteria, including capability, may need to be considered as well. To simply choose on the traditional basis of "last in, first out" could be age discriminatory. Objective data may be necessary to demonstrate that selection criteria have been fairly applied. This may need to include data about individual performance. "A complication for employers with cash flow problems is that the cost of redundancy payments may aggravate their financial position." Employees are entitled to four weeks’ trial in an alternative job without forfeiting any of their legal rights. However, staff will not retain their legal rights if they refuse offers of reasonable alternative work. for each year of service at age 41 or over – one and a half week’s pay. These limits are subject, however, to an earnings cap which is reviewed annually. The cap set in February 2009 was £350 per week. This means that compensation is calculated on the basis of regular weekly earnings or the cap, whichever is lower. The statutory entitlement is also limited to a maximum of 20 years service. Employees may be entitled to higher payments under their contract of employment. The first £30,000 of redundancy compensation is tax-free. Employees faced with redundancy are also statutorily entitled to reasonable paid time off to look for another job and for training during the notice period. A complication for employers with cash flow problems is that the cost of redundancy payments may aggravate their financial position. Another issue is that if the employer makes too many people redundant they may have to re-hire or recruit other replacement staff, in order to cope with an upturn in activity. The notice entitlements of those being made redundant will be according to the contracts of employment which need to conform as a minimum to statutory rights. In the UK the minimum statutory provision is a week’s pay for every year of service up to a maximum of 12. A complication can arise with people wishing to leave early in order to accept another job while it is on offer but still retain their right to redundancy payment. Employers may want to look at this on a case-by-case basis and consider how necessary it is for the person to complete their notice period. The organization of training related to redundancy has to be carefully timed. If it is done too early it may cause unnecessary panic – especially if redundancy is not necessary after all. If it is arranged too late the organization may have been overtaken by events. A pre-requisite may be a review of organizational policies and procedures regarding redundancy so that those involved in implementing them can be properly briefed. There may also need to be some inter-personal skills training so that managers are equipped to handle redundancy discussions, both individual and collective. Training may be necessary for those involved in handling internal appeals and employment tribunal proceedings. Training and support may also be necessary in setting up representative systems to discuss collective redundancies where there is no trade union. A key aspect of support that is often missed is that which is needed for the organizational survivors of redundancy. The experience of witnessing and perhaps helping implementing a redundancy may have shaken the confidence of remaining staff, particularly if they fear there may be further job losses. It may be very important to keep survivors, especially those in key management positions, in the picture about future developments. Sadly the scale of redundancy has greatly increased. It is important that the individual misfortunes that this may involve are not aggravated by poor handling of the process. Those implementing redundancy need to have a good grasp of whatever policies and procedures have been put in place for handling it. Unfortunately, redundancy is now often affecting organizations and managers with little relevant experience. This may be aggravated by a lack of appropriate policies and procedures. This makes timely training all the more important. As well as training and briefing about relevant substantive issues, managers may need to develop their inter-personal skills in order to cope with what can be very fraught meetings and interviews. The internal and external reputation of an organization may be critically affected by the way a redundancy is handled. 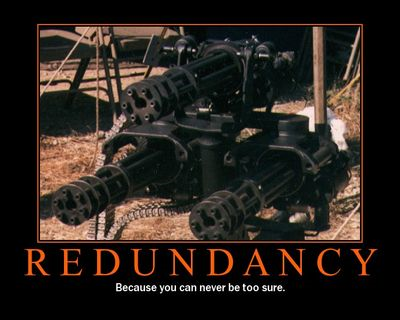 The needs of redundancy survivors may also be important. Employees caught up in redundancy may also have training needs. As well as being briefed about their rights and entitlements they may need training for re-deployment or to help find other work. Finally more strategic training and development may be necessary to help an organization face up to future challenges, such as the danger of further down turns in demand. This is a shortened version of "Redundancy handling – a key training need", which originally appeared in Industrial and Commercial Training, Volume 41 Number 4, 2009. The authors are W. David Rees and Christine Porter.